This science fair project was performed to ascertain the relationship between diabetic neuropathy and the length of time a person suffers from diabetes. The science project experiment involved persons suffering from diabetes for 5 years, 10 years, 15 years, 20 years as well as persons without diabetes. Persons suffering from diabetes for a longer period of time will have higher chances of being affected by diabetic neuropathy. Diabetic neuropathy is a disorder of the nerves that is caused by diabetes. 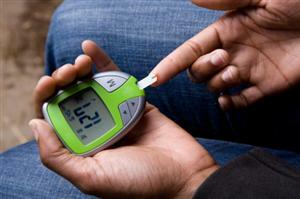 People who suffer from diabetes will normally suffer from damage to their nerves. Some of the symptoms of diabetic neuropathy are numbness of hands, feet and legs. They also experience tingling and pain in their limbs. Around 70% of diabetics are affected by diabetic neuropathy. Normally, the longer a person has been suffering from diabetes, the higher are his chances of suffering from diabetic neuropathy. Diabetic persons who are unable to control their sugar levels will also be at greater risk of developing diabetic neuropathy. Diabetic neuropathy can be categorized into 4 types. a. Peripheral neuropathy – causes numbness in the feet, leg, hand and arms. b. Autonomic neuropathy – causes changes in bowel, bladder, digestion, sexual response and sweating. c. Proximal neuropathy – causes pain in the hips, thighs and buttocks. d. Focal neuropathy – muscle weakness and pain. The results showed that participants who had have suffered from diabetes for the greatest length of time were less likely to be able to correctly pick the sandpaper with the roughest surface.